A federal jury in New York found the drug lord known as El Chapo guilty on multiple counts of drug trafficking, weapons violations, and other charges on Tuesday, bringing to an end the Department of Justice’s broad case against one of the most notorious criminals in the world of Mexican cartels. But while the once-named Joaquin Guzman Lorea will probably never see the light of day again, there remains the question of what the government should do with the nearly $14 billion in illicit proceeds the DOJ confiscated from the cartel. A certain Texas senator has a suggestion. To be sure, $14 billion is a whole lot more than the $5.7 billion that President Trump was seeking from Congress, and it is a damn long way from the roughly one-and-a-half billion that Democrats will actually agree to. With $14 billion – or even a healthy fraction of that money – we could build a structure closely resembling Trump’s original campaign-promised wall and not just 55 miles of steel slats. Cruz isn’t just popping off on Twitter, either. 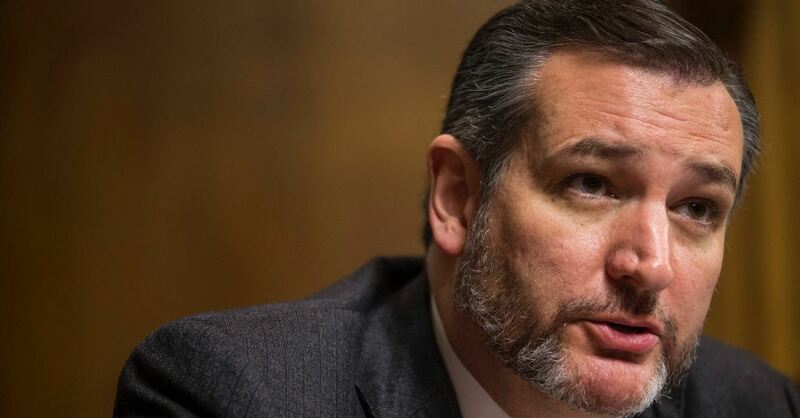 Last month, Cruz introduced a bill that would use the money confiscated from El Chapo’s hidden assets to begin construction on a border wall. Not only is this a brilliant use of confiscated drug funds, it would go a long ways toward fulfilling the other, oft-forgotten portion of Trump’s promise: “…and Mexico is going to pay for it.” It would take away the Democrats’ crocodile tears about fiscal efficiency and force them to stand up and refuse the wall on principle alone. In other words, they would have to stand up and tell the American people that we are better off NOT defending our border than we are building a wall. Let’s see how that goes over. First, though, the bill has to make it out of committee and onto the Senate floor. Get it done, Mitch.